On the Hill ... we go on to do great things. As a college-preparatory school, FSHA seeks to develop the talents and interests of its students so that they will succeed at their chosen college or university. We are dedicated to helping each student realize her individual educational goals, and work closely with her and her family throughout the process. As a college-preparatory school, FSHA seeks to develop the talents and interests of its students so that they will succeed at their chosen college or university. 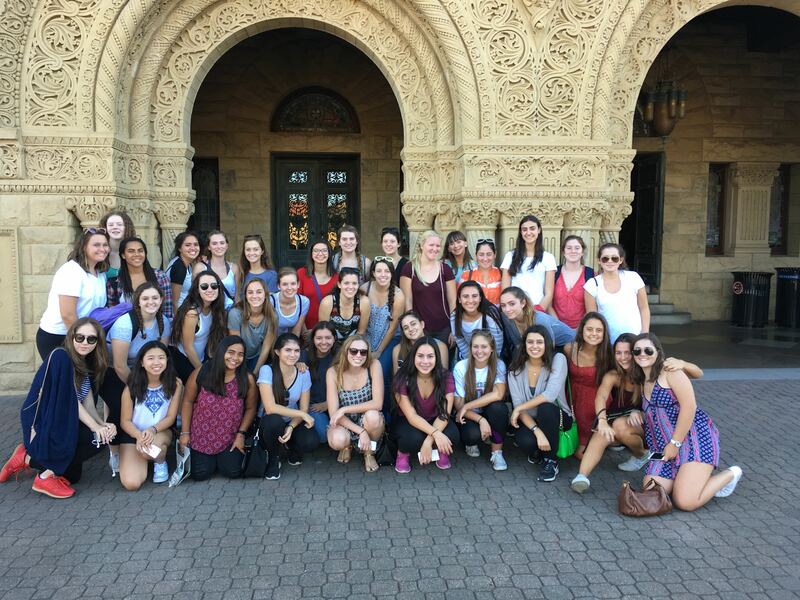 During freshman and sophomore years, the girls learn about the varying curriculum requirements of colleges and are counseled in their choice of studies by their assigned academic advisors. Each student is then assigned to a college counselor for her junior and senior years who guides her through the entire college application process. The Advising & College Counseling staff is dedicated to helping each student realize her individual educational goals, and works closely with her and her family throughout this four-year process. Applying to college can be both fulfilling and exciting for you and your daughter, offering an opportunity to gain greater insight and clarity into her personal values, goals and decision-making style. We believe process of applying to, contacting and visiting colleges should be one of organization and creativity, resulting in a sense of true accomplishment. The following calendar outlines the services and opportunities provided by the College Counseling and Advising Department during this four year program. Advisors play a critical role in preparing students for college by counseling them about classes, addressing academic and personal/social needs, while also helping students identify passions and enrichment opportunities. The advisors and college counselors seek to nurture students' academic and personal development during their high school years. Advising in the freshman year serves to help students become acquainted with the high school experience. Students are introduced to importance of self advocacy, being involved in extracurricular activities, developing strong study habits and advice on building teacher relationships. Advisors work with academic departments to appropriately place students in classes for the next academic year. Moreover, the advisor serves at the student’s advocate in issues related to academics as well as personal fortification. Through advising assemblies, students are also able to learn about topics including creating and maintaining healthy relationships, setting goals and reflecting on academic performance. Addressing these topics freshmen year will benefit them later as juniors and seniors. During the sophomore year, advisors serve as a critical role in supporting students both academically and personally as they tackle a more rigorous academic load. Students at this age are more involved in their high school experience, thus advisors focus student enrichment on time management, a continuum of study skills development and identifying potential leadership opportunities as they move to an upper grade level. Advisors encourage sophomores to continue in philanthropic activities that focus on fueling their passions and faith during summer break. College counseling continues, as advisors suggest appropriate classes for the next year. Advisors serve to help students solidify their extracurricular activities, build their resume and interpret test scores in preparation for their college application process. Students transition to their college counselors in the second semester to more fully embark on their college exploration and application journey. Advisors and college counselors encourage to discover their passions which can inform their college environment and major choose, thus allowing for a more personalized and intimate college selection journey. College counselors introduce students to exploration tools to help in their college search and applications including mentorship in writing their college essay. 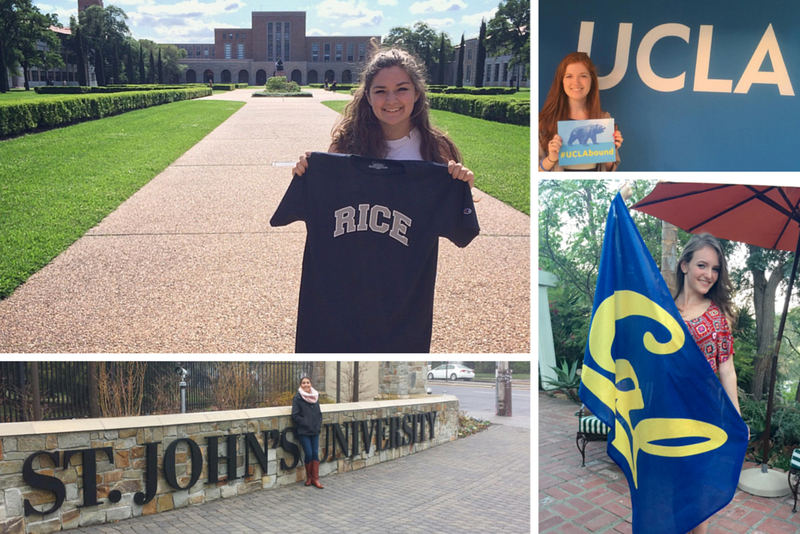 Juniors are invited to participate in the college representative visits on our campus. Individual college guidance appointments are scheduled with college counselors following College Knowledge Night. Juniors take first SAT and/or ACT test and Subject Tests (if applicable). 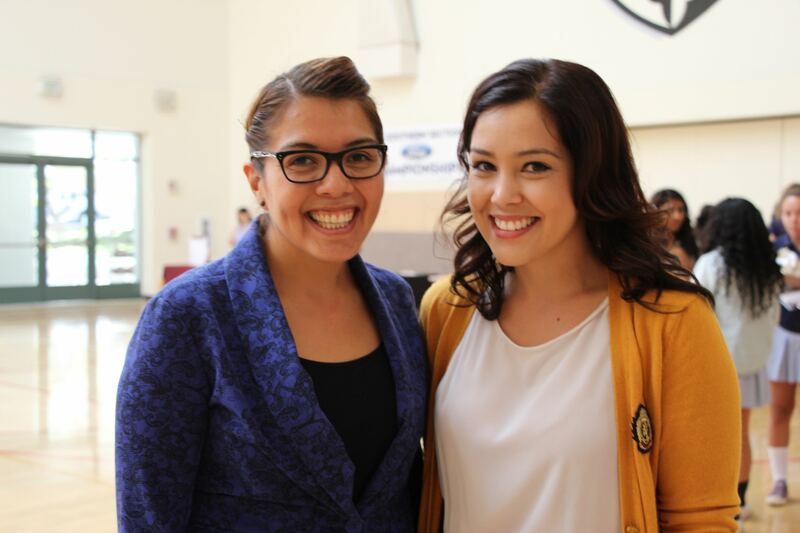 Case Studies "Mock Admissions Event” partnered with St. Francis. College counselors serve as mentors to students who are not only choosing colleges, but helping students discover more about themselves and their own identity. Through a dynamic and very personalized service, college counselors provide students information regarding colleges, deadlines, strategies, financial aid and many more aspects. It is the goal of the college counselors to help students find their “best fit” college in which they will continue to grow personally, academically and spiritually. You might have expected Sara Collins ’16 to feel frazzled or stressed while in the midst of the college application process. However, it was neither. “I [felt] confident in the applications that I submitted for the early action pool because I spent a great amount of time working on the supplements and essays and coming up with unique responses,” says Sara. “The college counseling program really helped me get ready.” She isn’t alone. By the time our students reach senior year, they are well prepared for the college process. The Association of College Counselors in Independent Schools (ACCIS) agrees. The Class of 2018 is attending colleges and universities around the world, many of them highly selective. Of the 98 graduates, 19 will attend a four-year Catholic college, 76 will attend other four-year colleges and three will attend community college.